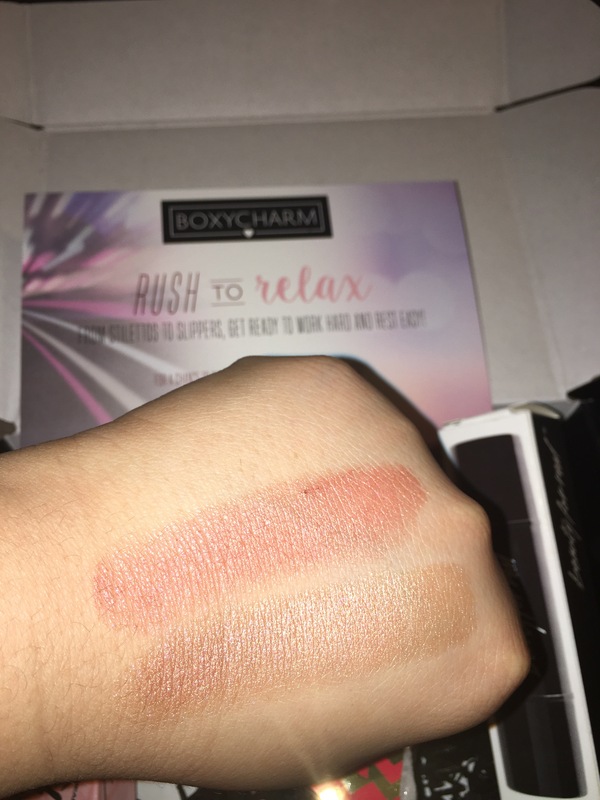 Boxycharm | A Touch Of Light! Time for another unboxing! This month’s theme: RUSH TO RELAX… yes please! I sure need some time to relax, this month has been pretty busy and restless… so in this box we got 6 items…..
Spongelle You Have My Heart on a String- Full SIze $15.00: A heart shaped body washed infused buffer enriched with hydrating olive oil & blend of energizing and toning extract. Beauty For Real Blush- Glow Stick- Full Size $24.00: A 2-1 blush and highligher created to not only color and highlight, but also provide anti-aging benefits. This cream-to-powder long wearing formula delivers light reflecting benefits and glowing radiance, which ensures a smooth, beautiful, flawless finish. 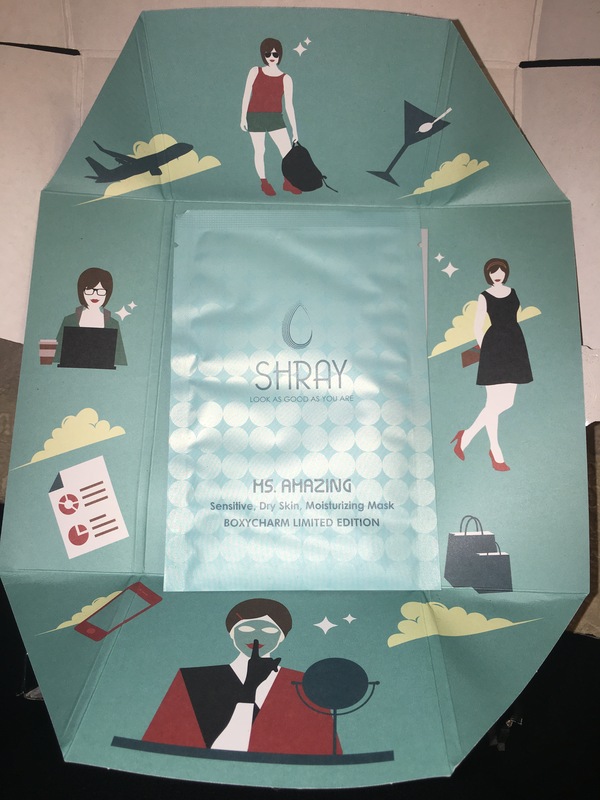 Shray Ms. Amazing Facial Mask- Full Size $12.00: An ultra hydrating mask to quench thirsty, ragged, and dull skin. This moisturizing mask is gentle enough for everyday use yet tough enough for your supercharged life. Ofra Banana Powder Godet- Full SIze $12.00: This innovative new product can be used as an all-in-one face powder. Freeze 24/7 Anti-Aging Eye Serum-Sample Size $58.00: Say goodbye to fine lines,wrinkles, dark circles and puffiness with this ground breaking, lightweight eye serum. Realtree For Her-10ml Travel Size $12.99: A delightful fragrance with the sweet of pomegranate, a hint of persimmon and an exotic scent of orchids. 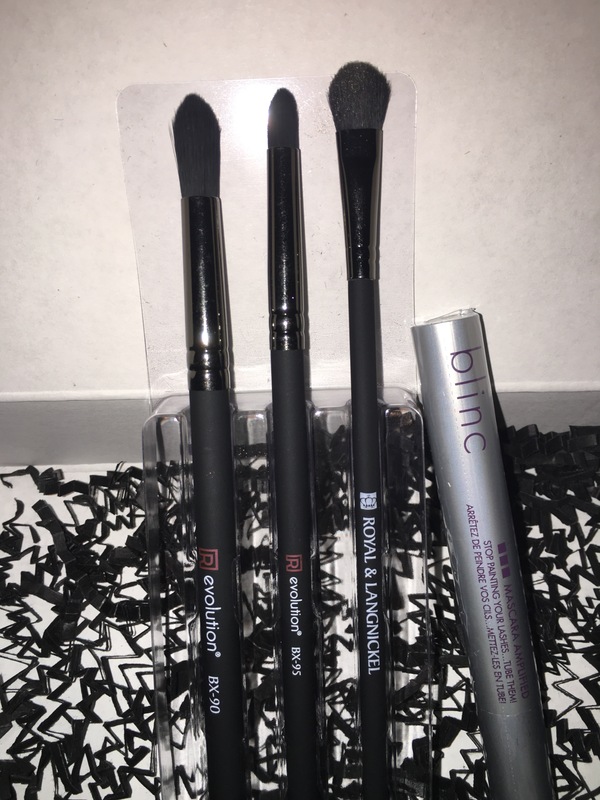 Blinc Mascara Amplified Full Size: $26.00 I found this mascara to be very different from any other that I have used. I am very impress has to how easy it is to remove. With just hot water, the mascara rolls off and does not leave any residue. I did not find it to be lengthening or volumizing. Coastal Scents Revealed Smoky Full Size: $39.95 Great pigmentation, easy to blend. Possible dupe for Naked Smoky. ( All Revealed palettes always go on sale for $19.00, wait until the sale of you are interested in purchasing any of the Revealed Palettes). Royal & Langnickel Brush Set (R)evolution Full Size: $23.97 I really enjoyed these brushes. I reach for them constantly. They are very soft, pack on and blend eyeshadow evenly. Stiff enough to smudge shadow. I specially love to use them when working with dark shades as it helps reduce any fallout. 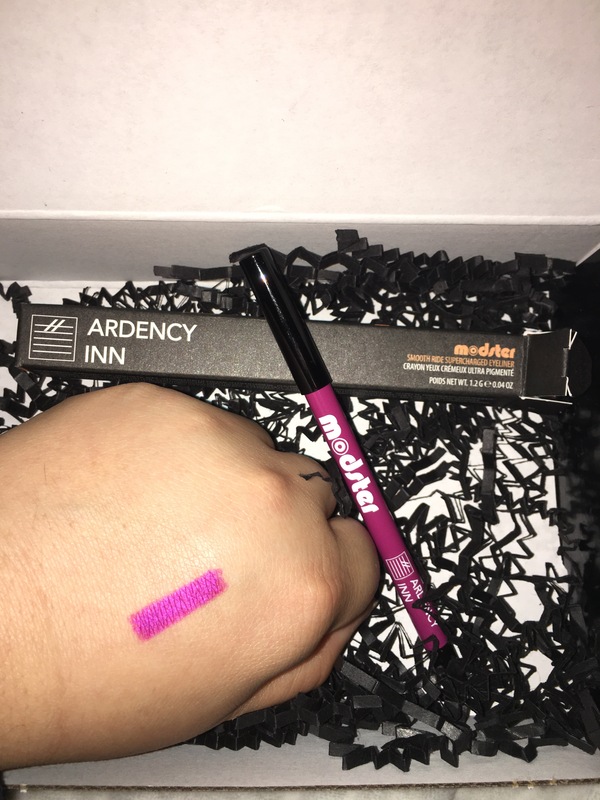 Ardency Inn Modster Smooth Ride Supercharged Eyeliner Full Size: $19.00 Very intense shade, glides on beautifully and stays all day. Let’s see how this month’s product perform. I’m looking into other subscription services.. Any recommendations?????? Fist Box of 2016 just arrived! Lets see what’s inside …. Coastal Scents Revealed Smoky Full Size: $39.95 ( All Revealed palettes always go on sale for $19.00, wait until the sale of you are interested in purchasing any of the Revealed Palettes). 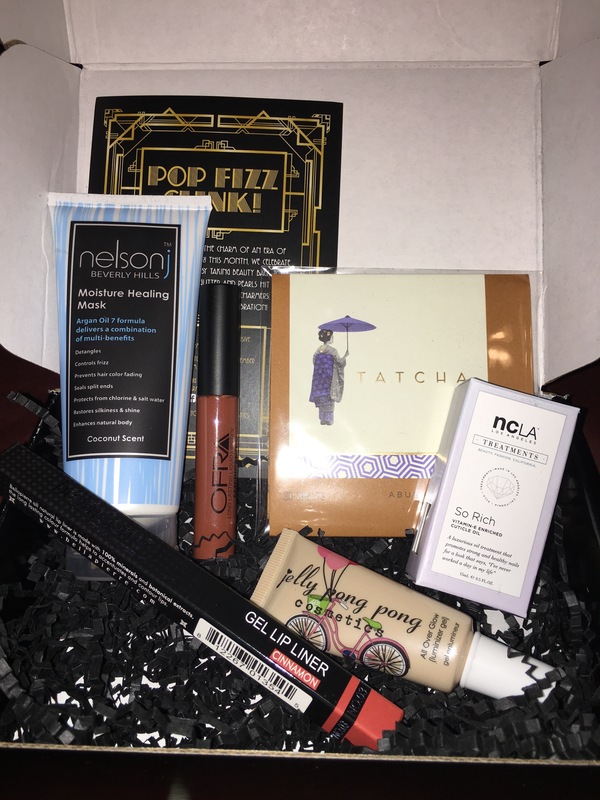 I really enjoy receiving this box, it’s a great way to try new products and brands. I am very excited to try the Blinc Mascara and that Pink eyeliner. 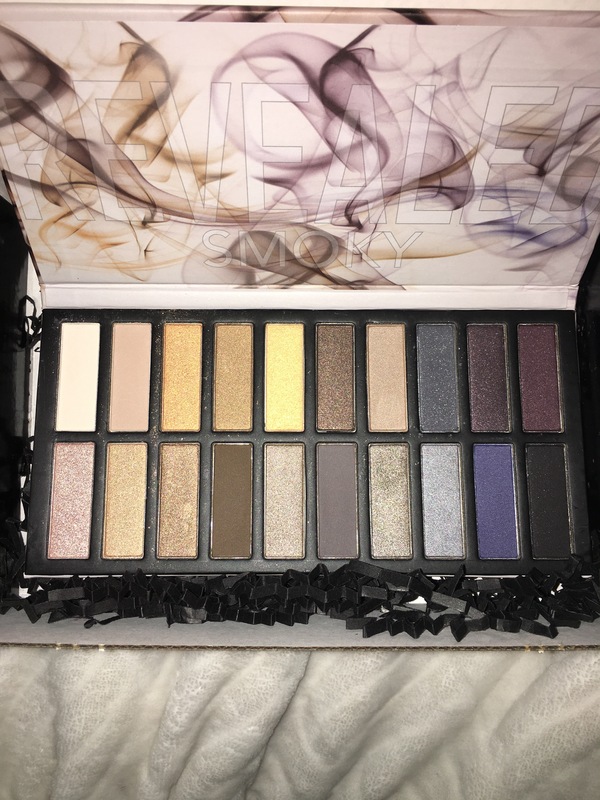 The smoky palette I want to compare to my Urban Decay Smoky I am so in love with, that will be interesting. December’s box came with a couple of products that I did not use but over all I had fun playing with new formulas. I loved 3/6 products. Still was a good box. Tatcha Petal Fresh Original Aburatorigami: Full Size $12.00 : I did not use this, I have dry skin. Jelly Pong Pong All Over Glow: Full Size $15.95 : This highlighter is so lightweight. It feels very refreshing . I applied it before foundation and it gave a healthy glow. NCLA So Rich Cuticle Oil: Full Size $18.00 : I did not use this product. I didn’t pay much attention to my nails this month. Nelson J Argan Oil 7 Moisture Healing Mask Full Size: $23.00: I was not impress with this mask. It is more of a liquid texture. I expected a thick cream. I did not see any difference in my hair. The coconut scent is more of a chemical scent. Ofra Long Lasting Liquid Lipstick: Full Size $19.90 : This is the first Ofra liquid lipstick I own and I cannot wait to purchase more. This lipstick did not dry out my lips. It feels very comfortable and is long lasting. Bellapierre Waterproof Gel Lip Liner: Full Size $17.99: The formula of the lip liner is moisturizing and has a velvety feel. It is easy to apply and is long lasting. Both the liquid lipstick and lip liner paired beautifully and together lasted a long time on my lips, through eating and drinking. 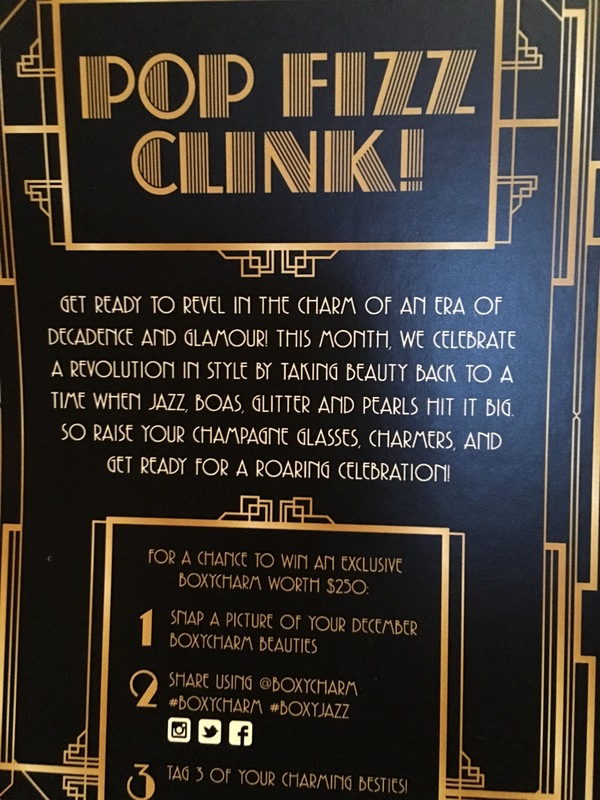 Want to know more about this subscription: Boxycharm is a monthly subscription where you can expect to receive 4-5 deluxe to full size beauty related products for only $21.00. They have a point system where you can review the products on their website and receive “Charms” that can accumulate and be redeemed in their shop. You also get “Charms” when reffering a friend. 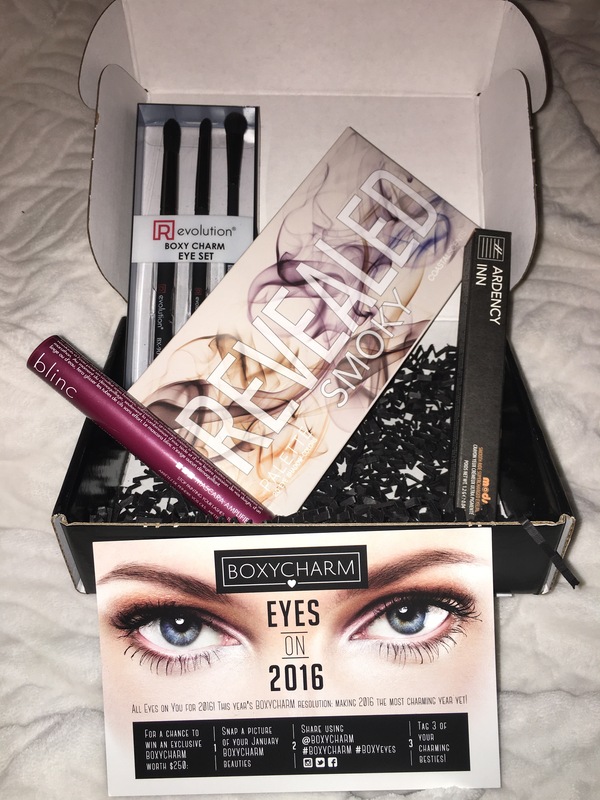 Here is a direct link: ReferBoxycharm. What new products are you playing with this month? What products have you rediscovered within your makeup collection? 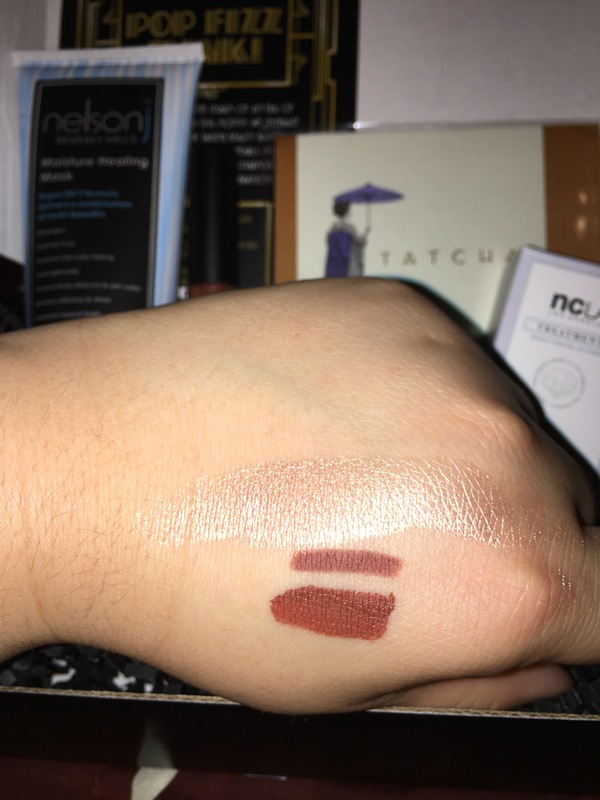 Here are swatches (top to bottom): Jelly Pong Pong All over Glow, Bellapierre Gel Liner in Cinnamon, Ofra Liquid Lipstick in Americano. I really like the color selection of the lip products, they pair perfectly together. 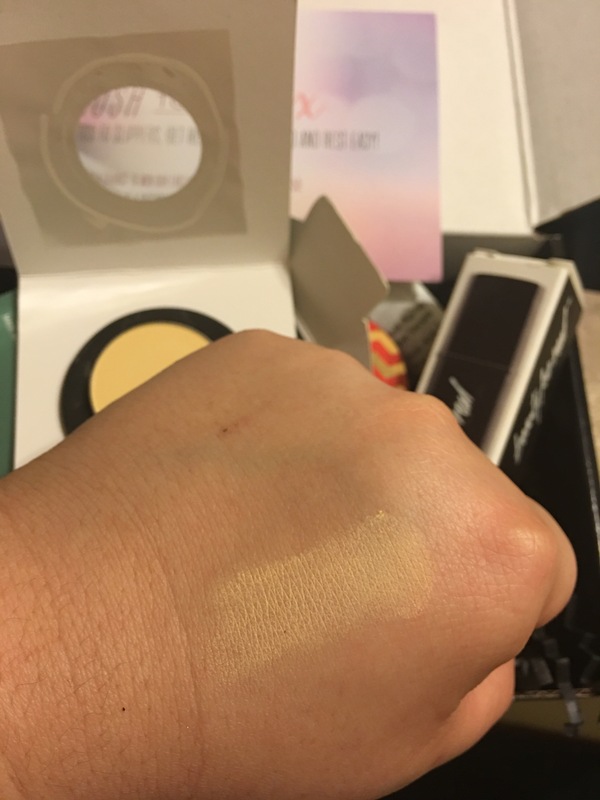 The highligher is intense, can’t wait to use it! 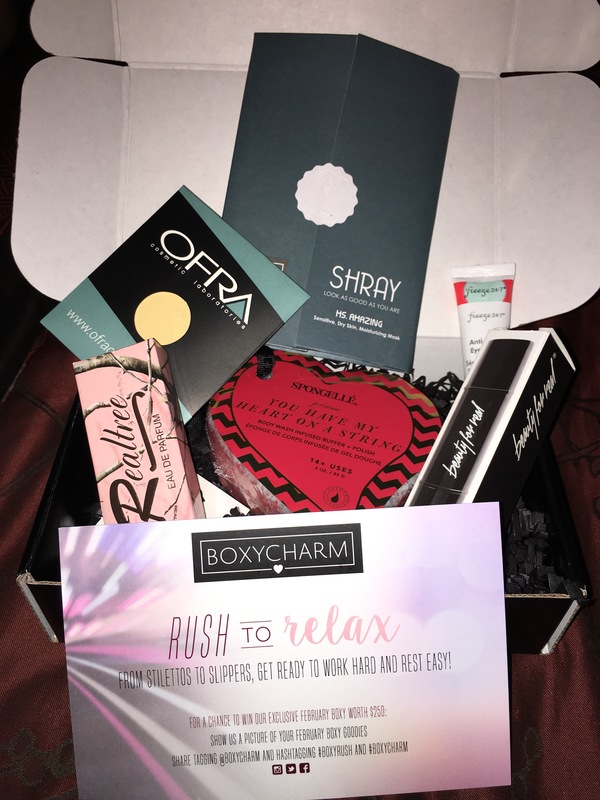 Want to know more about this subscription: Boxycharm is a monthly subscription where you can expect to receive 4-5 deluxe to full size beauty related products for only $21.00. They have a point system where you can review the products on their website and receive “Charms” that can accumulate and be redeemed in their shop. You also get “Charms” when reffering a friend ReferBoxycharm.